Mackenzie provided comprehensive transportation engineering design services for the Village at Scholls retail project on the north side of Barrows Road in 2008. 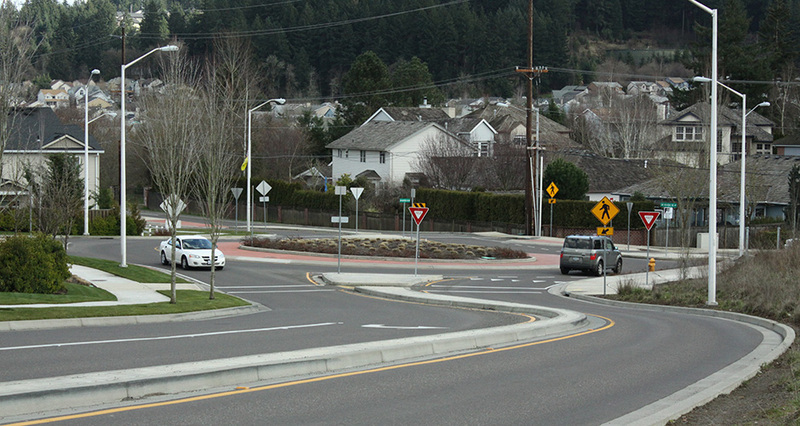 Guided by the preparation of detailed traffic operations and safety analyses, close coordination with Beaverton staff, and intense debate at a series of public hearings, a roundabout installation was ultimately accepted as an effective mitigation tool for this intersection. The intersection consists of a major suburban collector intersecting with a residential arterial and retail site entrance. There is one circulating lane and truck apron across the roundabout with single lane entry and exit on all approaches. The PM peak hour volume for design of all approaches is 1,400. Mackenzie worked under City of Beaverton design requirements for three approaches and Washington County requirements for one approach to complete construction drawings and details. 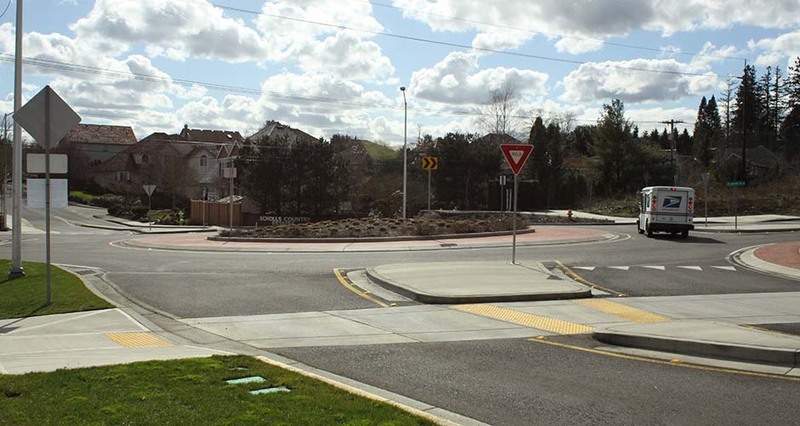 Documents included the preparation of horizontal and vertical geometric alignment data for roundabout features, including curb, apron, and road crown locations; street lighting, signing and marking plans; and multiple utility relocations.